Ms. Avena Prince hails from Dominica, a small Caribbean island nation. She is the founder, manager, marketer, and fashion designer at Royal Globe, Inc., a start-up that provides vocational training to help individuals become self-employed. Ms. Prince had the opportunity to participate in the Young Leaders of the Americas Initiative (YLAI) in the autumn of 2017. YLAI is designed to empower businesses owners and social entrepreneurs with the training, resources, and networks they need to make positive impacts on their societies. More information on YLAI 2017 can be found here. Ms. Prince, third from right, with other YLAI 2017 participants. Ms. 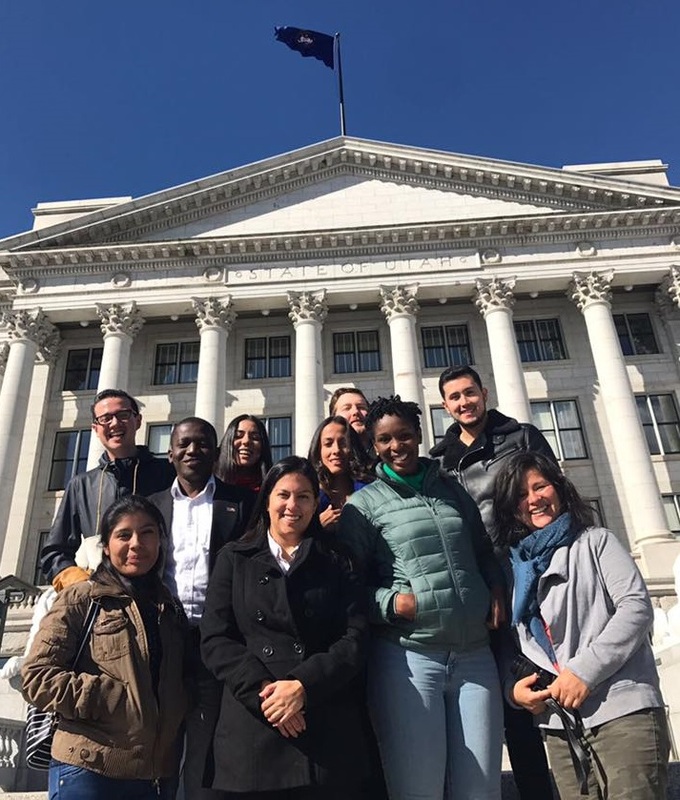 Prince describes her experiences in the United States as “life-changing.” She is grateful to UCCD as well as Cotopaxi, her YLAI fellowship partner, for helping her add greater value to her services as well as gain a new sense of purpose to her work. 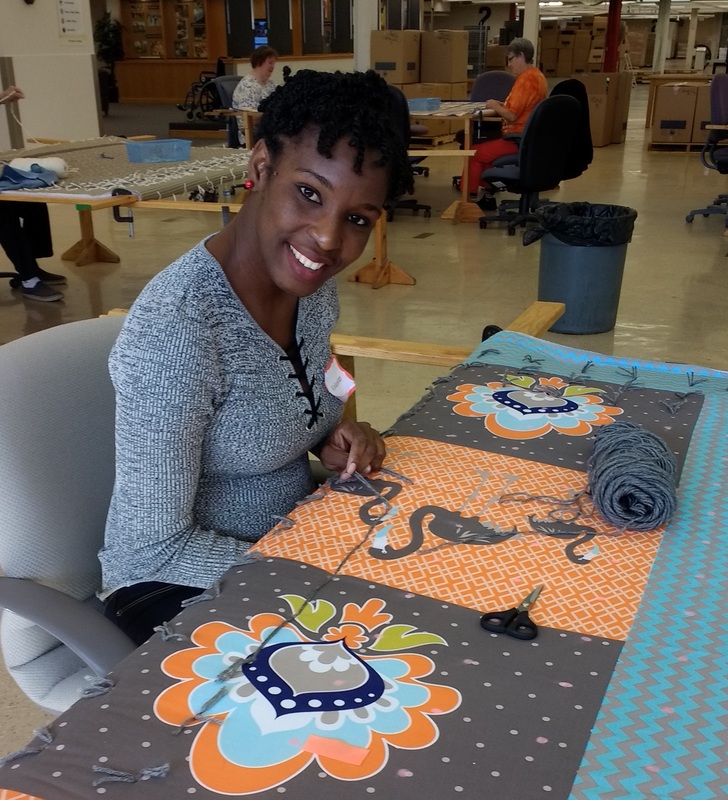 “My experience in Utah has given me a greater appreciation for what I do and how I can continue to contribute to my society,” she says. More information on Ms. Prince’s experience in Utah with Cotopaxi can be found here. At the Humanitarian Center learning how to quilt. Upon returning to Dominica, Ms. Prince was able to put what she learned in practice, amending procedures and programs to better align with her expectations. She has also been able to teach her students new skills they can apply to their vocations. She plans on implementing more ideas in the months to come. Soon Ms. Prince will be participating in a Reverse Exchange Project in which the CEO of Cotopaxi, Davis Smith, will travel to Dominica to further assist Avena in expanding her business globally. UCCD looks forward to hearing from Ms. Prince as she continues her entrepreneurial endeavors! 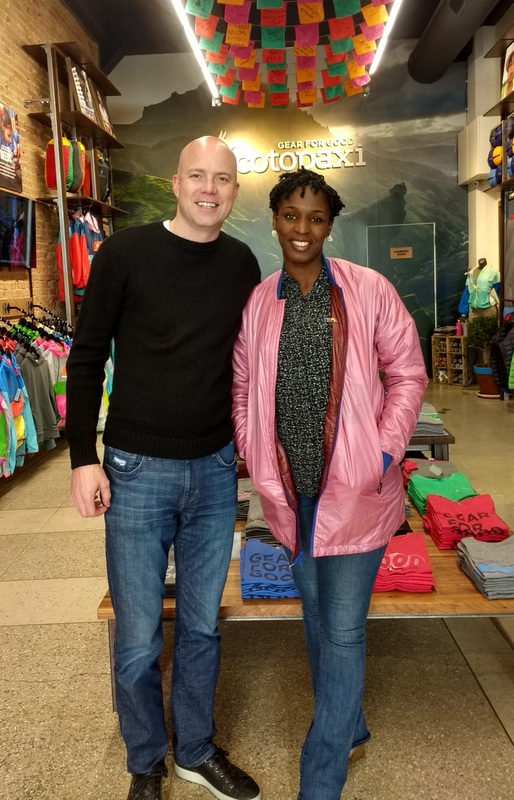 At Cotopaxi with CEO Davis Smith.